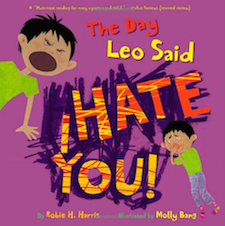 In a reassuring manner, Robie H. Harris and Molly Bang portray what happens when a little boy feels SO frustrated and SO mad at a parent who has said NO all day long. Together, Harris and Bang delicately navigate not only the momentary angry feelings and outbursts of young children, but also the most profound bonds between a parent and a child. He’s always been a happy little utensil. But lately, he feels like life as a spoon just isn’t cutting it. 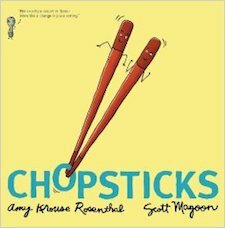 He thinks Fork, Knife, and The Chopsticks all have it so much better than him. But do they? And what do they think about Spoon? 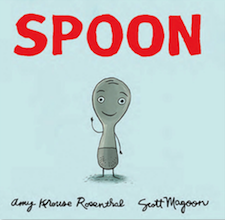 A book for all ages, Spoon serves as a gentle reminder to celebrate what makes us each special. Dyson loves pink, sparkly things. Sometimes he wears dresses. Sometimes he wears jeans. He likes to wear his princess tiara, even when climbing trees. He’s a Princess Boy. 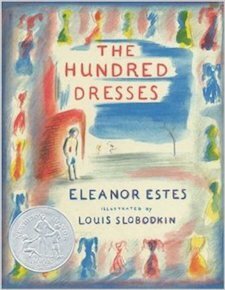 Inspired by the author’s son, and by her own initial struggles to understand, this is a heart-warming book about unconditional love and one remarkable family. It is also a call for tolerance and an end to bullying and judgments. The world is a brighter place when we accept everyone for who they are. 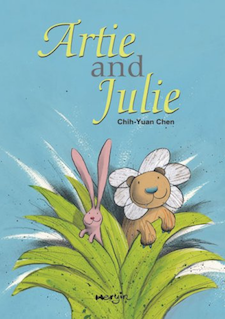 Artie was a happy little lion, and Julie was a happy little rabbit—until one day Julie was sent to the grassland to eat grass, and Artie was sent to the grassland to eat . . . rabbit! Distracted from their destinations, they both discover a delicious jellyberry patch. Driven by a sudden storm into a nearby cave, they become friends before they know they are meant to be enemies. 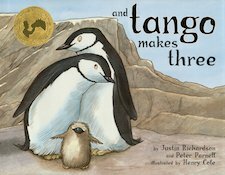 Each returns home with a new friend, a tuft of each other’s fur as a keepsake, and a surprising story to tell their parents. A unique design adds depth to this clever tale—when Artie and Julie are apart their parallel stories are told on separate split pages, but when the two become friends the pages join together as well. 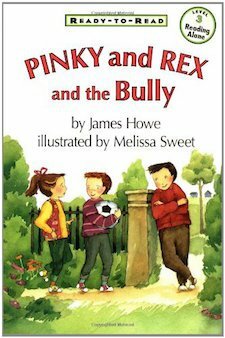 Filled with playful art that adds a whimsical tone, this amusing story encourages young readers to overlook differences and demonstrates that fear should never be an obstacle to friendship. William wants a doll because he envies the neighbor girl who has one. But his brother and his friend mock him and call him a ‘sissy,’ and his father buys him ‘boy toys’ to try and change his mind. Finally, the only person who understands William, his granny, buys him a baby doll and eases the fears of his father. Peter’s day just seems to get worse until his grandfather comes over and teaches him how to settle his mind and let go of his frustration through a simple and fun exercise. 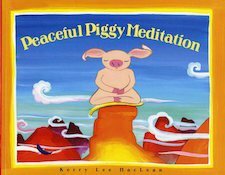 This vibrant and funny children’s book is a playful way to introduce children to the power of meditation. 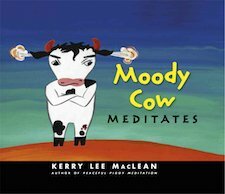 With full color illustrations by the author, Moody Cow Meditates is a wonderful book for parents and children to share together. Just when Princess Elizabeth is about to marry Prince Ronald, a dragon destroys her castle and burns down all her clothes with his fiery breath and kidnaps the prince. 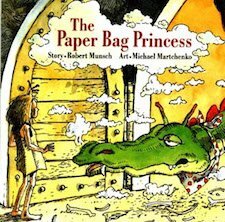 Left with nothing but a paper bag to wear, the princess sets out to outsmart the dragon and save her love. But the prince is not at all impressed and comments on how un-princessy she looks and tells her to “come back when you are dressed like a real princess.” Of course, our sassy princess heads off to lead her life the way she wants it, without trying to fit into the prince’s perfect picture of a princess. Nate loves the ballet, the fluttery costumes and the way the dancers’ “movements look like music.” So Nate decides he wants to learn ballet, too. While his parents are supportive, his big brother tells him boys cannot be ballerinas, and this confuses Nate. He gets more apprehensive when he discovers he is the only boy enrolled in the ballet class. 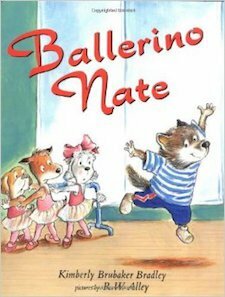 So Nate’s mother takes him to a real ballet, where he sees many male dancers and gets to meet one in person. The dancer clarifies that a boy cannot be a ballerina, because that means “woman dancer” and shares his dream of becoming the best ballerino. At last Nate feels comfortable and confident in his passion for ballet. When Trisha starts school, she can’t wait to learn how to read, but the letters just get jumbled up. 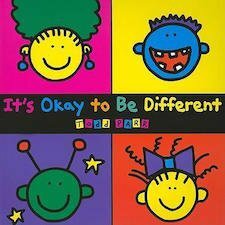 She hates being different, and begins to believe her classmates when they call her a dummy. 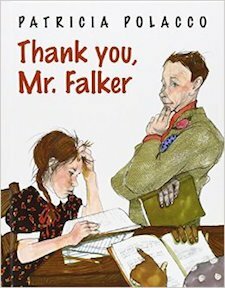 Then, in fifth grade, Mr. Falker changes everything. He sees through her sadness to the gifted artist she really is. 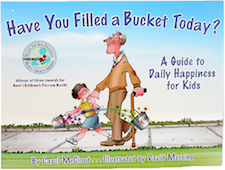 And when he discovers that she can’t read, he helps her prove to herself that she can – and will! 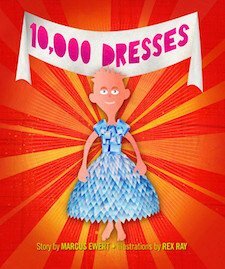 “Where are the girls?” When Grace’s teacher reveals that the United States has never had a female president, Grace decides to be the first. And she immediately starts off her political career as a candidate the school’s mock election! 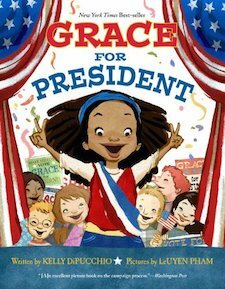 Author Kelly DiPucchio not only gives readers a fun introduction to the American electoral system, but also teaches them the value of hard work, courage, and independent thought–and offers an inspiring example of how to choose our leaders. Allie is very excited when her father gifts her a basketball for her birthday. 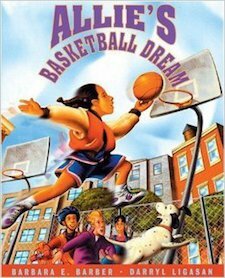 She practices everyday as she wants to be a professional basketball player. 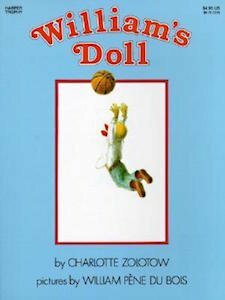 But all her friends — girls and boys — discourage her, saying that it’s a “boy’s game.” One boy even trades a volleyball with her, because it is lighter. Finding encouragement in her father’s words, Allie doesn’t give up and eventually proves her worth and wins the respect of all who scoffed at her. Here is the all-too-familiar story of Monica. She and Katie have been friends since kindergarten. Monica loves being around her when she’s nice. But there are times when Katie can be just plain mean. And Monica doesn’t understand why. 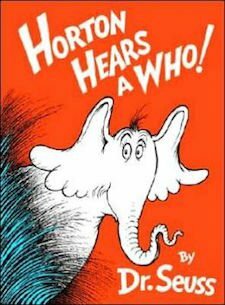 Monica is a target of relational aggression, emotional bullying among friends who will use name-calling and manipulation to humiliate and exclude. 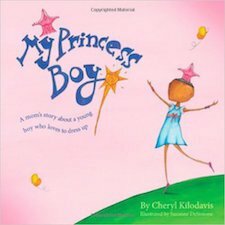 But with a little help from a supportive adult—her mother—Monica learns to cope and thrive by facing her fears and reclaiming power from her bully. 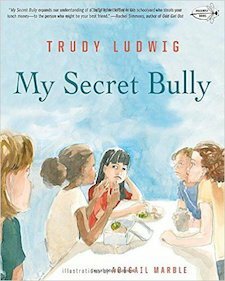 Including a foreword by the founder of the The Ophelia Project, as well as helpful tips, discussion questions, and additional resources, My Secret Bully is a vital resource for children, parents, teachers, and counselors. 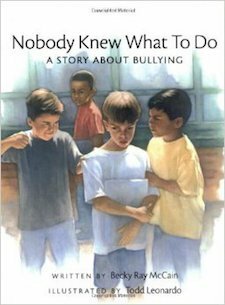 A rare look at emotional bullying among boys from the best-selling author of My Secret Bully.D.J.’s friend Vince has a habit of teasing D.J. and then saying, Just kidding!” as if it will make everything okay. It doesn’t, but D.J. is afraid that if he protests, his friends will think he can’t take a joke. With the help of his father, brother, and an understanding teacher, D.J. progresses from feeling helpless to taking positive action, undermining the power of two seemingly harmless words. 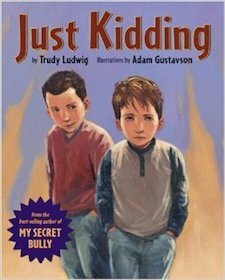 Trudy Ludwig takes another look at relational aggression, the use of relationships to manipulate and hurt others, this time from the boy’s point of view. 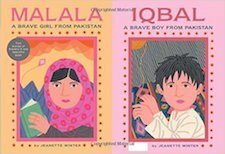 Meet two heroes of Pakistan who stood up for the rights to freedom and education in these inspirational nonfiction tales from acclaimed author-illustrator Jeanette Winter. Two stories of bravery in one beautiful book—including the story of Malala Yousafzai, a winner of the 2014 Nobel Peace Prize! One country: Pakistan. Two children: Iqbal Masih and Malala Yousafzai. Each was unafraid to speak out. He, against inhumane child slavery in the carpet trade. She, for the right of girls to attend school. Both were shot by those who disagreed with them—he in 1995, she in 2012. Iqbal was killed instantly; Malala miraculously survived and continues to speak out around the world. She was awarded the Nobel Peace Prize in 2014 for her work. 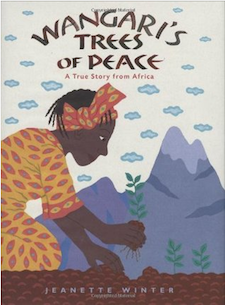 The stories of these two courageous children whose bravery transcended their youth, beautifully written and illustrated by celebrated author Jeanette Winter, are an inspiration to all. Leanora Sutter. Esther Hirsh. Merlin Van Tornhout. Johnny Reeves . . . These characters are among the unforgettable cast inhabiting a small Vermont town in 1924. A town that turns against its own when the Ku Klux Klan moves in. 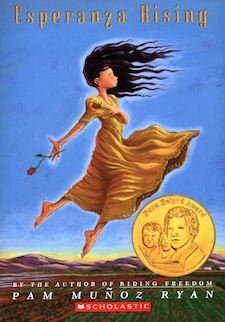 No one is safe, especially the two youngest, twelve-year-old Leanora, an African-American girl, and six-year-old Esther, who is Jewish. 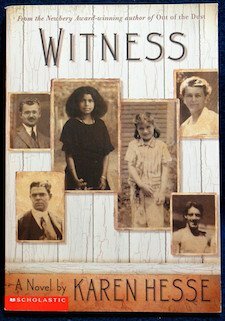 In this story of a community on the brink of disaster, told through the haunting and impassioned voices of its inhabitants, Newbery Award winner Karen Hesse takes readers into the hearts and minds of those who bear witness. 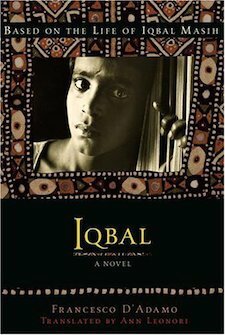 When young Iqbal is sold into slavery at a carpet factory, his arrival changes everything for the other overworked and abused children there. It is Iqbal who explains to them that despite their master’s promises, he plans on keeping them as his slaves indefinitely. But it is also Iqbal who inspires the other children to look to a future free from toil…and is brave enough to show them how to get there. This moving fictionalized account of the real Iqbal Masih is told through the voice of Fatima, a young Pakistani girl whose life is changed by Iqbal’s courage. The United Nation’s Universal Declaration of Human Rights illustrated., Now in a mini edition! 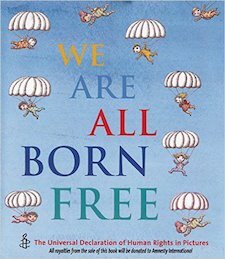 The Universal Declaration of Human Rights was signed on 10th December 1948. It was compiled after World War Two to declare and protect the rights of all people from all countries. 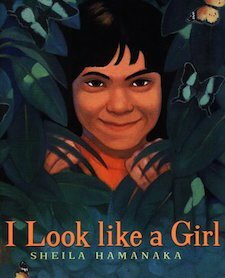 This beautiful collection, published 60 years on, celebrates each declaration with an illustration by an internationally-renowned artist or illustrator. 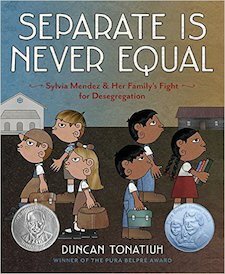 Almost 10 years before Brown vs. Board of Education, Sylvia Mendez and her parents helped end school segregation in California. An American citizen of Mexican and Puerto Rican heritage who spoke and wrote perfect English, Mendez was denied enrollment to a “Whites only” school. Her parents took action by organizing the Latino community and filing a lawsuit in federal district court. Their success eventually brought an end to the era of segregated education in California.